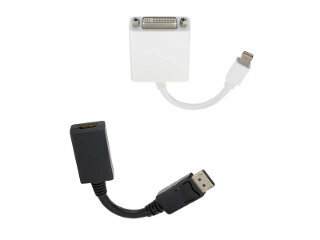 Enlarge Active adapter from display port/mini display port to HDMI or DVI. The adapters are powered via the display port socket and do not require an external power supply unit. These Plug&Play adapters do not need any special driver software. The display port interface can be found on MAC computers in particular (e.g. Mini MAC).